In one industrial-redesign swoop, Apple just rendered millions of iGizmo accessories useless for those who upgrade to its latest devices. The good news: There's a fix. The bad news: It'll cost you $30 a pop. The wave of new gadgets Apple (AAPL) unveiled Wednesday -- the iPhone 5 and an overhauled iPod nano and touch -- are the first to use a new eight-prong "lightning" connector. It's much tinier than the 30-pin connector that has been Apple's standard since 2003. "It's time for the connector to evolve," Apple executive Phil Schiller announced at Apple's unveiling event. The new lightning connector is 80% smaller than Apple's old one, a feat that helped Apple make the iPhone 5 the thinnest smartphone on the market. It also means that all the zillions of power cords Apple fans have stashed to keep their gadgets charged are now obsolete. 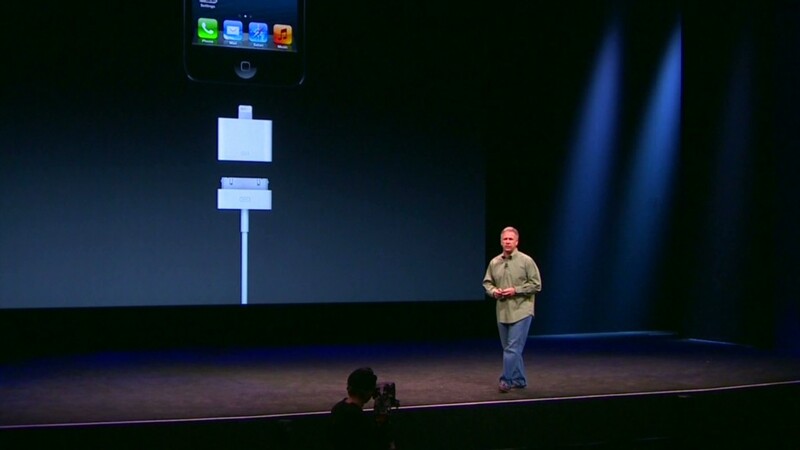 The iPhone 5 will come with its own lightning cord, but Apple devotees rarely use just one. More problematically, anyone who wants to connect their brand-new iPhone with an older accessory like a speaker system or charging dock will be faced with mismatched connections. 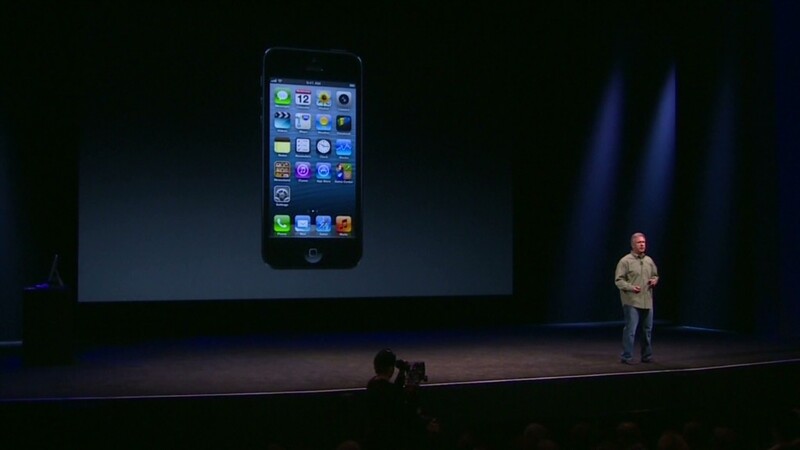 Schiller quickly noted in his talk that Apple would be releasing an adapter to bridge the transition pain. He didn't comment about its price tag, but Apple's online store already has the adapters available for pre-order. Brace yourself: They cost $29 each, or $39 if you want one with a cord attached. A lightning-to-USB cable goes for a comparatively cheap $19. Apple has a history of charging eye-popping prices for its accessories. An official Apple USB power plug currently goes for $29, plus another $19 if you want a cord to go with it. Lost the earphones (now called "EarPods") that came with your iPod? It'll be $29 for a replacement. The frugal-minded can save by buying third-party accessories. The same plug-and-cord combo that costs nearly $50 from Apple can be bought for mere pennies on eBay (EBAY) from manufacturers in China. Knock-off versions of Apple's lightning adapters haven't hit the shops yet, but it's a safe bet they'll be available by the time Apple starts shipping its own adapters. Apple's favored device makers got an advance warning about the connector redesign. "We've been aware this was coming," says Christopher Allen, CEO of gadget maker iDevices in Avon, Conn.
IDevices will skate through relatively unscathed. It was an early adopter of the latest iTrend: doing away with the connectors completely. Its current products -- including the iGrill thermometer and waterproof iShower speaker -- use Bluetooth to link up with iPods, iPhones and other Apple gadgets. Many other devices have made the same shift. "It decouples the devices from having to be connected to anything other than to charge," Allen says. The latest version of Bluetooth makes device detection and set-up almost invisible: "It really makes for a magical experience." The Bluetooth wave means many gadgets will be insulated from Apple's shift, but for those who need Apple's connectors to link their old accessories and charging cords, the upgrade will be pricey magic. One tech blogger called the "beyond ridiculous" price tag "a slap in the face." On Twitter, a commentator channeled his range into an all-caps blast: "TESTING MY PATIENCE NOW MR APPLE."